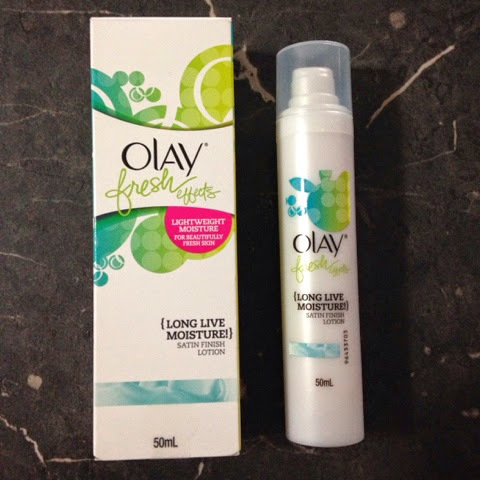 I bought this Olay moisturiser to test out as I had finished my clinique one (and the packaging is gorgeous!) I didn't know what to expect as I haven't herd anyone talking about it. I have been using this moisturiser for over a month now and I'm happy to say that I love it. It's comes out almost like a gel so it's not thick it's very light weight and glides over your skin perfectly. I have not noticed any additional oil being added to my skin during the day and I have not had a break out (phew) so it's safe to say this moisturiser has been a friend to my skin. It has a very light scent but nothing noticeable and also has a sheen to it when it comes out but I have not noticed a sheen on my face once applied. What moisturisers do you love? This packaging is super cute! I think im going to try this out! I need a good moisturizer to carry in my bag when im on the go! Thank you! I hope you will love it as much as I do. I carry mine with me such a great size and fits perfectly in my makeup bag.